A 62-year-old landlord from Ascot, Gweru, has been arrested on allegations of molesting his tenant’s three year-old daughter. Norman Masocha appeared before Gweru magistrate Ms Beaulity Dube facing a count of indecent assault. Masocha pleaded not guilty to the charge and was remanded out of custody on free bail to February 10 for trial. Ms Dube, however, ordered Masocha not to stay at his house until the matter is finalised. “I don’t accept the allegations that are being levelled against me. I can tell you what really transpired on that day which is different from what the complainant told the court. I have never been arrested before, I don’t have a criminal record why would I want to be arrested now?” said Masocha. 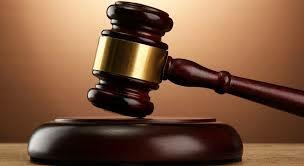 The court heard that on October 10 last year at around midnight Masocha allegedly entered the room in which the complainant was sleeping, removed her napkin and inserted his fingers into her private parts. On Christmas Day around 1am, Masocha allegedly found the toddler alone and again removed her napkin and inserted his fingers into her private parts. The court heard that the mother of the toddler reported the matter to the police leading to his arrest. The complainant positively identified the accused person at the police station.